Finally an 11-speed-compatible crank that rivals the very best from the big makers in shifting performance, yet offers chainring combinations useful for most riders, plus the beauty and polish of our René Herse cranks. The cranks are designed to be 100% compatible with STI, Ergopower and SRAM. They work equally well with 9- and 10-speed drivetrains and with downtube or bar-end shifters. The completely new outer chainrings were designed to work with the inner rings as a dynamic system to offer an optimized chain path at 50-130 rpm (and not statically, as with many other chainrings). 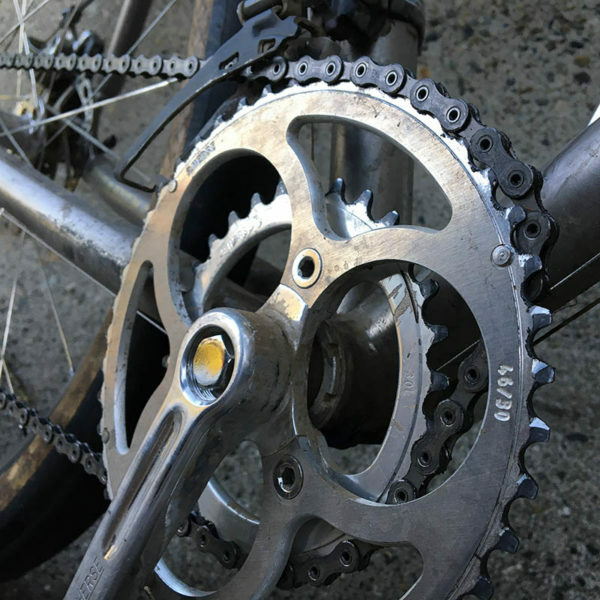 This ensures smooth and quick shifts even with the steep chain path inherent in the narrow spacing of 11-speed chainrings. The 11-speed René Herse chainrings are designed to work with Shimano Ultegra chains – even if you run derailleurs from other brands, use a Shimano Ultegra chain. 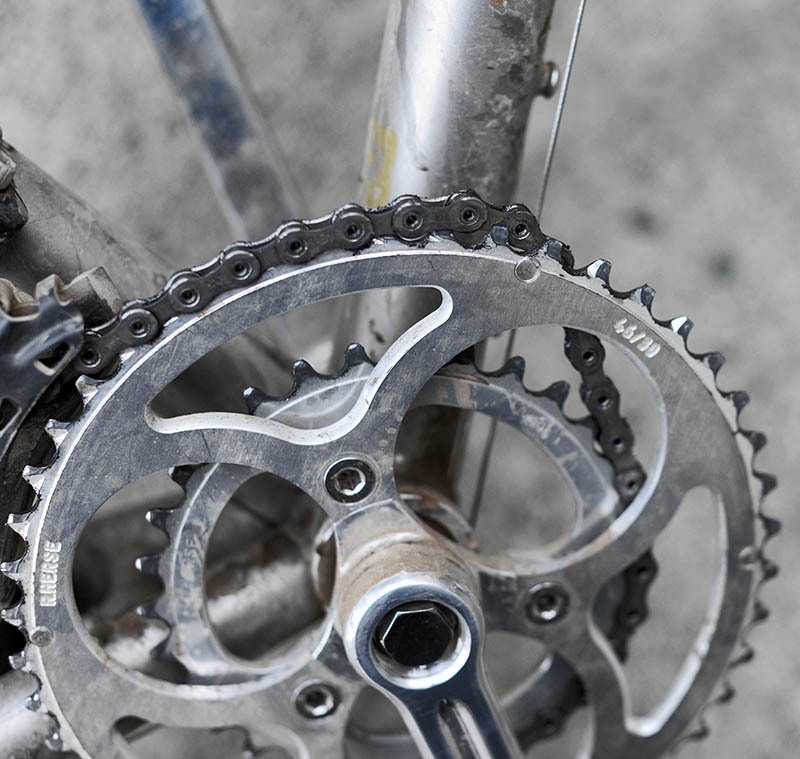 Existing René Herse cranks can be retrofitted by swapping out the big chainring. René Herse crank bolts and pedal washers are included. Free worldwide shipping for all Rene Herse cranks. René Herse cranks remain unsurpassed in their efficiency. The minimalist design with three arms makes this one of the lightest cranks ever made, yet the chainrings are well-supported, and standard chainring bolts are used. We’ve updated René Herse’s classic design by curving the arms slightly. This provides additional heel clearance and allows use of a shorter bottom bracket spindle. We forge the arms out of the strongest aluminum, and we machine the chainrings out of ultra-hard 7000-series aluminum for optimum wear resistance. We custom-make our bolts. Producing such a minimalist design requires very tight tolerances and superior quality. That is why we have a dedicated engineer supervising the production at our suppliers. Thanks to our net-shape forging process (which has a dedicated forging die for each crank length), René Herse cranks are the only classic cranks that pass the most stringent EN ‘Racing Bike’ standard for fatigue resistance. They have proven themselves over tens of thousands of miles of hard riding. (165 mm): 522 g (double 46/30).